Understanding a little bit of soil science will help you in the right direction. I’m kind of a soil nerd myself! My soils professor was impressed by my ability to understand his ramblings. So let me ramble a little to give you the basic info on soil. Soil is usually composed of 45% minerals, 5% organic matter, 25% water, and 25% air. Your soil texture is based on the minerals in this composition. When you look at texture you are comparing the three particle sizes; sand, silt and clay. Sand is the larger particle size that has greater pore space which allows for fast drainage. Clay is the smallest particle size and therefore has little to no pore space which creates soil that doesn’t drain well. Loam is considered the best texture of soil for gardening and it is made up of 40% sand, 40% silt, and 20% clay. To find out your soil texture here are some fun tests you can do at home including the mason jar test, click here for more information on estimating soil texture. In addition to knowing your soil texture you should also test your soil for other things. There are different things you can test for and different ways to test. You definitely want to know your soil pH (acidity), and Nitrogen, Phosphorus, and Potassium (N-P-K) levels as these are the most important to growing a healthy garden. The best and highly recommended is to do a soil test through your local County Extension office. You will get all the info you need to know about your soil and any recommendations they may have. Just remember to convert it into organic options! Some garden centers and catalogs sell little home test kits for N-P-K and pH but I wouldn’t waste my time or money on them. They just aren’t accurate enough. You are better off watching your plants and seeing what clues they give. Signs of malnutrition are evident in plants and you’ll know soon enough what to look for. Amending your soil with organic matter is the single most beneficial thing you can do for your garden! Adding in whatever you have access to is going to be beneficial as long as it is aged and free of herbicides and chemicals. If you compost kitchen scraps that can be a great source of compost or you can buy it. 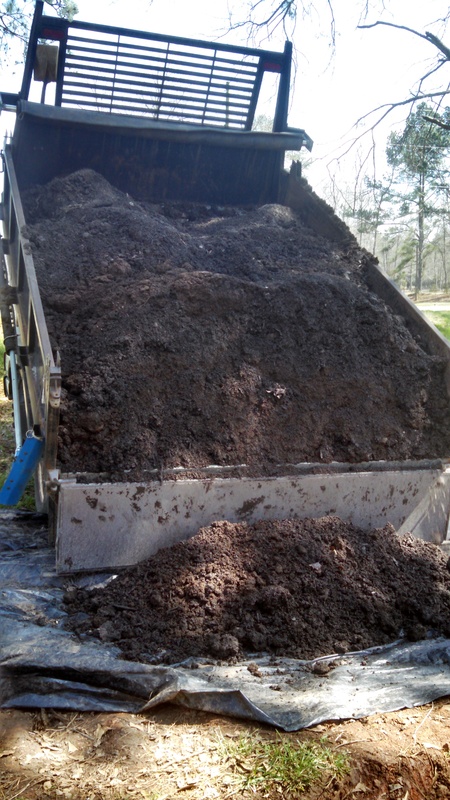 Manure from animals that have not been fed herbicide contaminated hay is another great source but it has to be aged and well composted before you add to the garden. Old hay or straw will break down quickly as will fall leaves and grass clippings. If you know anyone who is doing vermiculture you could get worm castings and really make your plants happy. All cycles pass through soil; the carbon cycle, the nitrogen cycle, the water cycle, etc… Soil is life! The life within the soil is diverse and robust. A healthy garden soil will be teaming with life. You have worms, beetles, and other arthropods that travel through the soil consuming organic matter and turning it into a nutrient dense byproduct for your plants to use. Microorganism like nematodes and protozoa will help your soil and plant roots be free of harmful parasites. Beneficial bacteria and fungus help your soil nutrition levels as well. Keeping all these little life creatures well fed with good organic matter will keep them in your garden bed where they will help your plants grow big and strong! Soil is a filter. It cleans water and air. Soil is a feeder. It nourishes life! Keep your soil happy and you wont go wrong in gardening! Our next step is Planning! Subscribe now for email updates so you don’t miss it!